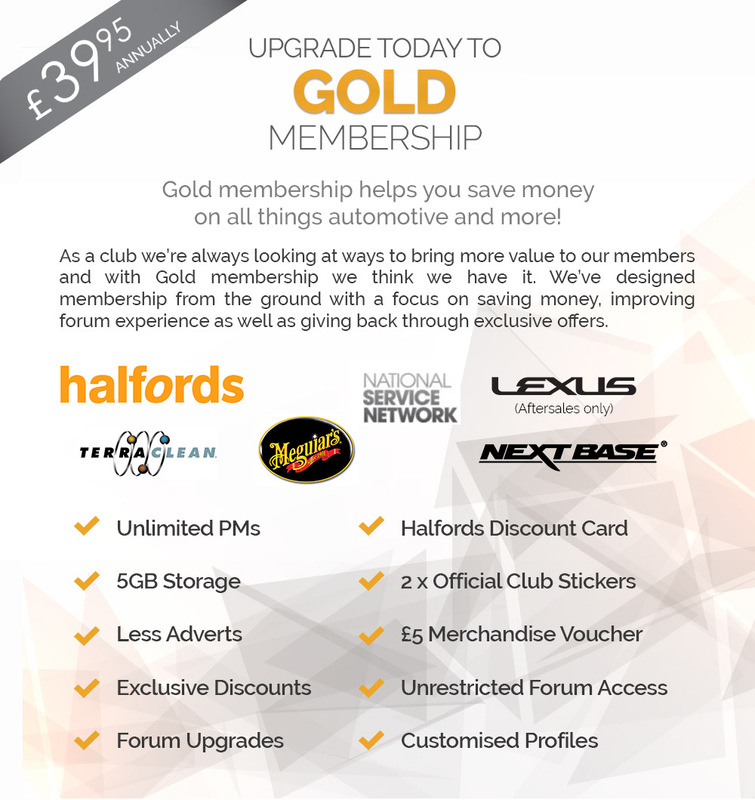 Exclusive Automotive Discounts - We are constantly looking out for new discounts for the club for your benefit. Less Adverts - We reduce the adverts down for Gold members around our club website. Unrestricted Forum: As a Gold member we will not restrict how many times you post and you will have access to any closed areas. Sign up to Gold Membership to receive club benefits and we will also post you a pack in the next 7 days.